While Syria, Russia and Iran solidify their military relationships, embattled President Bashar Assad may be about to lose another key ally in his fight against rebel groups including the Islamic State, according to Lebanese reports on Monday. Hezbollah has been actively involved in Syria’s civil war with troops on the ground fighting for the Assad regime, but the organization has informed the Syrian government that it will no longer take part in offensive military action, according to diplomatic sources who spoke to the Daily Star. 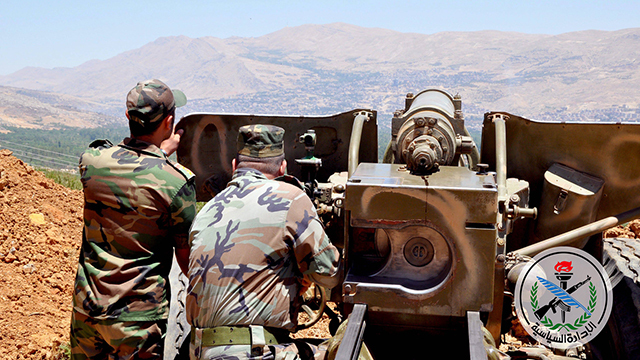 According to the report, Hezbollah is now expected to participate only in defensive actions after a battle currently being fought for the city of Al-Zabadani, some 45 kilometers from Damascus, is completed. Even with the direct support of Iran and Russia, losing Hezbollah’s offensive capabilities would be a serious blow to the Assad regime, which has suffered a string of losses for the past several months as government forces have found themselves on the back foot against the Islamic State and other rebels. Current assessments suggest that Hezbollah is less than likely to entirely abandon the Syrian government, but perhaps Russia’s increased involvement was, in part, meant to coincide with Hezbollah’s decreased activity. Russia has established a forward air base near the northern city of Latakia where the US claims 28 Sukhoi fighter jets have been deployed. 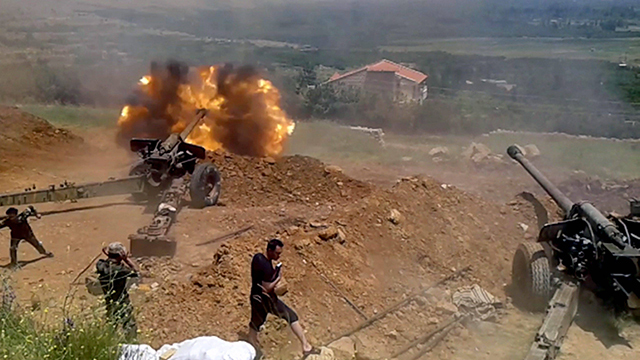 A ceasefire was declared in Al-Zabadani and three other cities in the area between rebels and government forces. A similar agreement was reached in the area last month, but didn’t hold. Meanwhile, Hezbollah appears to be dealing with internal struggles. Kuwaiti news source Al Rai reported Tuesday morning that the organization arrested one of its members accused of spying for a Western nation. According to the report, the individual worked at a Hezbollah-run hospital in Beirut. Hezbollah was said to be investigating the amount of damage done by the infiltration. No official sources confirmed the report, but the arrested individual was said to be privy to sensitive information including the details of wounded and dead fighters in the organization.